LONDON (92 News) – A Britain Newspaper has claimed that 236 Pakistanis embraced martyrdom during Mina stampede that killed 769 people. According to British Newspaper “The Guardian”, Saudi authorities have yet to provide a breakdown of the nationalities of the 717 victims, but several foreign countries have announced the deaths of nationals. Death tolls given by foreign officials and international media so far are: Pakistan, 236; Iran, 131; Morocco, 87; India, 14; Egypt, 14; Somalia, 8; Senegal, 5; Tanzania, 4; Turkey, 4; Algeria, 3; Kenya, 3; Indonesia, 3; Burundi, 1; and Netherlands, 1. The Saudi officials said that many injured were still in critical condition due to which the death toll of pilgrims could rise. 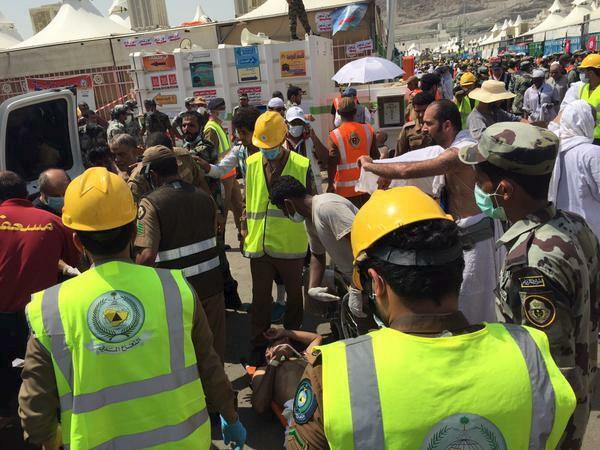 More than 850 people were also wounded in the crush during the symbolic stoning of the devil at Mina, the worst tragedy during the hajj for 25 years. It was the second deadly accident affecting Makkah worshippers this month, after a crane collapse in the holy city killed more than 100.